So you’re getting ready to graduate with that English, Marketing or Business degree and you really, really, really want a marketing job. You and thousands of other freshly-minted graduates. What can you do to get the job when the competition is steep and the economy is still struggling to recover? Read our guide to landing a fabulous marketing job and you’ll be well on your way. Congratulations, you just got a full-time job. It’s the day after graduation (or maybe the Monday after graduation… allowing for a weekend of fun and relaxation). No, you can’t sleep in until 11:00—you have a brand-new full-time job until further notice. Your job is to look for a marketing job for at least 8 hours every day. Every. Single. Day. Until you get one. Get some clothes for grownups. You need a nice suit for interviews, and some clothes for networking that make you look like an adult. You cannot wear a saggy pair of jeans and a hoodie while looking for a grownup marketing job. Buy some decent shoes, while you’re at it, and keep them polished (also, don’t ever, ever, ever wear white athletic socks with your dress pants and dress shoes. Yes, the interviewer can see them. And yes… he cares). Women should also have a nice suit and decent shoes. Even though you hope to land an interview with a hip, cool marketing firm, you should still stick to a reasonably conservative appearance: one earring per ear, a professional hairstyle and modest clothing (so super-short skirts and no cleavage). A friend once told me about an interview he conducted with a very qualified candidate who would have been hired, except that she was wearing a revealing shirt under her suit. He was concerned about this for two reasons. First, he wondered if she dressed like that every day, in which case, if he hired her, he might put himself in a situation where he had to discuss her inappropriate cleavage with her. Second, he wondered if she had dressed that way in the hopes that her cleavage would make him more likely to hire her. It didn’t. In fact, it was just the opposite. Networking isn’t just for the kids who majored in Information Systems. If your BA was in English, the word, “networking” might be new to you. Basically, it entails going to parties. And other, probably more boring events. Like job fairs. And open houses. And maybe even cocktail parties with your parents—they might have some great connections in the marketing world. If your LinkedIn profile hasn’t been updated recently, now’s the time. While you’re at it, update your Facebook, Google+ and whatever other social media profiles you have. More than ever, employers are using social media tools to find candidates, or at least check up on applicants of interest. If you have anything questionable on any of your social media accounts, delete it. Now. That profile pic of you (and your cleavage) mugging for the camera while holding up a beer in each hand? Not what your potential employer wants to see. Perfect your resume and cover letter. Your resume should be perfect. Absolutely perfect. Free of typos, grammatical errors and formatting issues. 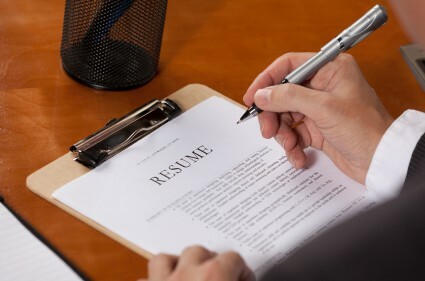 You should have a small stack of resumes printed on decent-quality paper in addition to having one saved on your computer (for those pesky online applications). Your resume probably shouldn’t list the fast-food job you worked in high school. Instead, it should clearly present every shred of relevant experience you’ve got. Get creative if need be. Remember when you created the posters for the baseball team fundraiser? How about the successful pitch you made to the high school principal that resulted in the addition of the Oakland High Bronies Club? If you truly can’t think of anything marketing-related, make some connections between other past experiences and the job you want. For instance, if you helped people learn English as a volunteer, you can connect that to your ability to work with people from all cultures, which is an important skill to have in marketing. Your cover letter should also be perfect—proofread it three times, then give it to someone else to proofread, too. It’s the first thing potential employers see, so it has to be stellar. It can also make up for the fact that you’re a newbie in the world of grown-up jobs. Use the cover letter to let your personality shine; you don’t need to stick with the formal, boring “To Whom it May Concern” language when applying for a marketing job. You’ll need to be creative and outgoing in your field, so showcase that in your cover letter (of course, there’s a distinct difference between overly formal and way too casual. Leave out the slang, curse words and anything that could be construed as offensive). Just because you’ve graduated doesn’t mean you’re done with homework. If you want to work in marketing, you should be up-to-date on the latest industry info. That includes doing research to find out who the current experts are. Read their websites, blogs and books. Understand the basic theories of each and know how you could apply their strategies to real-world examples. Did you land an interview? Homework time again. Thoroughly research the company. What’s the name of the CEO? Who are the company’s clients? What’s its directive? Interviewers can tell when you have no idea about the company, and they’re not impressed. Speaking of interviewers… find out who will be interviewing you and then do some homework on that person. Most companies have information about their employees online. Read your interviewer’s job description, see if they’ve been in the news, etc. Don’t wing it in the interview. Doing your homework and researching the company is great, but you’re not done yet. You need to be prepared to answer the questions thrown at you. Be thoroughly familiar with your own resume. Your interviewer might have it in his hands, right there during the interview, and ask you a very specific question about something he’s looking at—will you know the answer? What date did you start working that summer job? What did you like about it? Hate about it? If it’s on your resume, you should be prepared to answer any type of question about it. What can you bring to the company? Be prepared with a great sales pitch (after all, you are trying to convince this person that you’re great at marketing!) Some interviewers will get right to the point and say, “Why should I hire you?” Don’t try to give an answer off the cuff; have one ready. Think seriously about why they should hire you and come up with a list of reasons that you’re ready to give when asked. What questions do you have for me? This one often throws people for a loop. Isn’t the interviewer supposed to be asking you questions? This is not the time to ask about salary, benefits, how big your cubicle will be or details about the office dress code. The interviewer is testing you to see a) if you know anything about the company, and b) if you are sharp enough to be prepared with a few questions. You can also turn the table on the interviewer a bit. 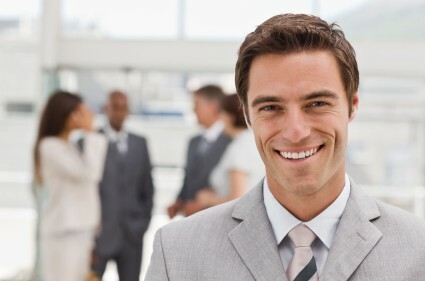 He’s asked you why he should hire you; ask him why you should want to work for the company. Ask him what he loves about his job and what he doesn’t. Bring along a little something extra. In addition to a copy of your resume, bring a writing sample with you to your interview. Marketing involves a lot of writing and there are plenty of folks out there who aren’t particularly adept at the task. If you’re a great writer, prove it. Since you’ve been doing so much industry homework, you’re well-versed about what’s hot in marketing trends. Write up a short white paper or even blog post about. Double and triple-check it for grammar, spelling and overall fabulous prose, then hand it over in the interview. If writing’s not your thing, bring something else. If you’re experienced in design, mock up a marketing campaign idea. If you’re a wiz at social media, check out the company’s Facebook page and make up a list of strategies the company can use to improve social interaction. With just a little bit of effort, you can show that not only are you smart and skilled, but that you can readily apply those talents to the company. Your interviewer will be pleasantly surprised… and impressed. Your mother taught you that sending thank you notes was polite. And this is yet another example of a time that she was right. Immediately after coming out of the interview, write a thank you note to the person who interviewed you. If you have any question at all about the spelling of his name, look online or call the company receptionist and ask. Express your gratitude for the person’s time and recall a specific detail from your conversation or reference a particular aspect of the interview that will remind him who you are and why he wants to hire you. Most people skip the thank you notes. Odds are, you’ll be the only candidate to send one, which makes you look that much better. 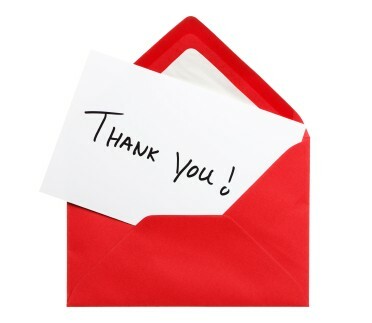 You can email a thank you, but a handwritten card means a lot more. Bring a card with you and have it all ready to be mailed the moment you walk out the door of the company. The interviewer will receive it the next day—just as he’s starting to review candidates. The sad fact is that even with a gorgeous resume, stellar interview prep and strong skills, you may find that it takes several tries to get a job. Don’t give up. Take the advice in this guide and you’ll soon land a fabulous marketing job.